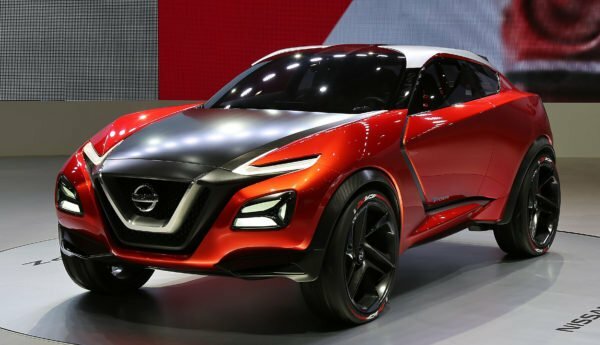 Home Tags Posts tagged with "car industry"
Nissan has cut its full-year profit forecast as a safety inspection scandal hit earnings. Japan’s second-largest auto maker expects operating profit of 645 billion yen ($5.7 billion) for the year to March 2018, down from previous guidance of 685 billion yen. Nissan also saw a sharp drop in operating profit for Q3 of 2017 owing to weakness in the US. 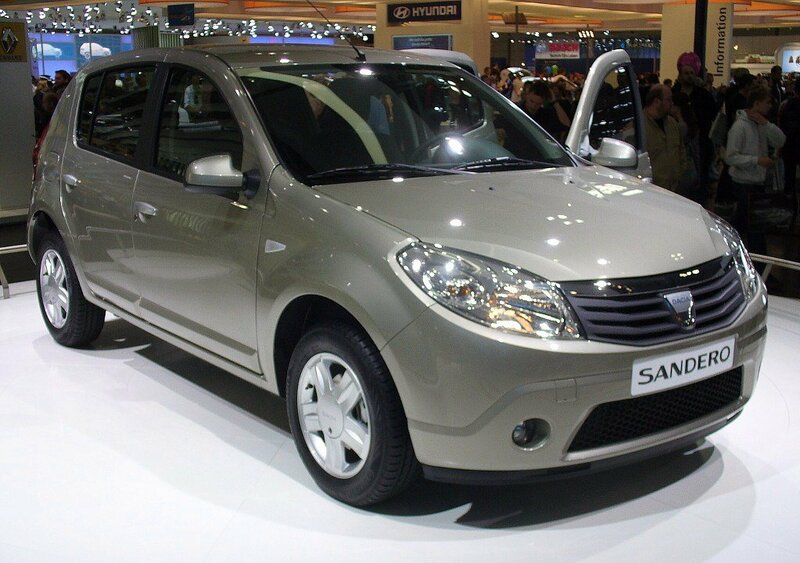 The company recalled 1.2 million cars in the domestic market in October after flaws in safety checks were discovered. At a media briefing in Yokohama on November 7, Nissan CEO Hiroto Saikawa gave a long bow of apology and vowed to “regain the trust” in the wake of the scandal. Nissan suspended local production for about three weeks after it revealed uncertified workers carried out final vehicle inspection checks for decades. On November 7, the company resumed production at all six of its domestic assembly plants. The saga is the latest in a string of misconduct cases involving Japanese manufacturers, including a data falsification scandal at Kobe Steel. In 2016, Mitsubishi Motors admitted that it had falsified fuel efficiency tests on some models. While costs related to safety scandal are expected to hit Nissan’s annual profit, other headwinds weighed on its quarterly earnings. Operating profit fell to 128.5 billion yen for the three months to September, down from 163.9 billion a year earlier. The result, which missed market expectations, came as sales fell 2.2% in the increasingly competitive US market. On November 7, Toyota – Japan’s largest auto maker – said its sales in North America hit their lowest level in nearly three years. However, Nissan fared better closer to home. Sales rose 8% in China, the world’s biggest car market, and jumped 25.6% in Japan over the quarter. BMW’s head office in Munich, Germany, was searched this week by EU officials investigating an alleged cartel among five German automakers, the company has confirmed. The German automaker said EU staff had inspected its Munich offices, adding that it was assisting the regulators in their work. Also on October 20, Daimler said it had filed an application for leniency. Daimler, which owns Mercedes-Benz, also has no current plans to set aside funds for possible fines, according to its CFO Bodo Uebber. In July, VW defended its record after allegations that it teamed up with other German car giants to breach EU cartel rules. 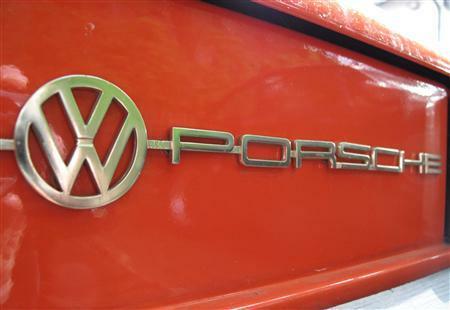 However, VW declined to comment on specific allegations that the five automakers colluded on price and technology. Ford Motor Company’s new president and CEO Jim Hackett has outlined plans which he says will make the car giant “fit” to compete in a changing industry. Jim Hackett said Ford would shift resources from traditional cars to SUVs and trucks, while investing in electric power and tech services. Ford will also automate its manufacturing processes more to help to cut costs by $14 billion. Jim Hackett identified the goals after a 100-day review. He became Ford’s president and CEO in May, replacing Mark Fields, who had been in the top job for only three years. During that time, Ford had two of the most profitable years in its history, but the share price drifted lower. Investors have been concerned that Ford is not moving quickly enough in markets such as China and in sectors such as automated cars to fend off competitors, including new ones emerging from Silicon Valley. Jim Hackett said Ford needs to automate and simplify its production processes and invest $7 billion in its successful products, such as SUVs and light trucks, which have driven US sales this year. Ford is also planning to make its vehicles more tech-savvy, with 90% of its vehicles sold around the world “built with connectivity” by 2020. Executives said those features – such as easy compatibility with phones and other devices – would help attract customers to the brand. They said they also opened opportunities for new lines of business, such as medical transport, ride-hailing and goods delivery. Ford already operates a shuttle bus service called Chariot in four US cities and is set to expand it further by the end of the year. It said it has signed agreements to work with cities such as Mumbai on transport. Jim Hackett said Ford had been slow to shift to electrification because of the costs. But it is working on partnerships with companies such as Zotye in China, where the government has called for quotas related to electric car sales. Jim Hackett is replacing Mark Fields as Ford CEO following a major reshuffle at the US car giant. Mark Fields’ departure comes as Ford faces weak sales, falling profits and a near-40% decline in its share price since he took up his role in 2014. Jim Hackett, 62, is described by the company as a “transformational business leader”. The former boss of office furniture company Steelcase joined Ford in 2016 to run its autonomous driving division. Executive chairman Bill Ford said Jim Hackett was a “true visionary” and the right person to lead the car maker. Jim Hackett will focus on modernizing Ford and “transforming the company to meet tomorrow’s challenges”. Ford shares rose 1.3% in morning trading in New York. Last week, Ford said it planned to cut 10% of its salaried workforce in North America and Asia Pacific this year, on a voluntary basis. The auto maker employed more than 200,000 people globally at the end of 2016, including about 101,000 in North America and 23,000 in Asia. Sales in April were down 7% in the US and 11% lower in Europe compared with the same month last year. Ford has also been hit by costs related to safety recalls. In 2016, Ford sold 6.65 million vehicles worldwide, while rival General Motors sold 9.97 million, according to Statista. GM reported a record performance in the first three months of 2017, with revenue 10.6% higher at $41.2 billion, helped by strong sales of trucks and SUVs in the US. Ford’s revenue in the first three months of 2017 was $39.1 billion, a rise of 4%. At the time Mark Fields said the quarter was “an investment in Ford’s future”. 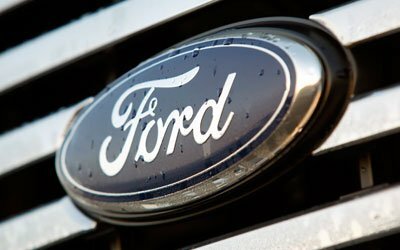 Ford launched new vehicles and he said it was “fortifying our core business, while also investing in emerging opportunities that will deliver profitable growth”. In recent years, Ford has been investing heavily in self-driving technology and ride-sharing services. Toyota has suffered first profit fall for the first time in half a decade. The Japanese auto maker said it sold more cars in the year to March 2017 than in the previous 12 months but that higher costs and currency fluctuations hit results. The profit of 1.83 trillion yen ($16.1 billion) was down 21% from 2016-2017. Toyota has warned 2016 profits will be even lower, due to the strength of the Japanese currency. The company’s prediction is based on a forecast that the yen will average around 105 to the US dollar in the year through to March 2018, compared with 108 yen in the last financial year. 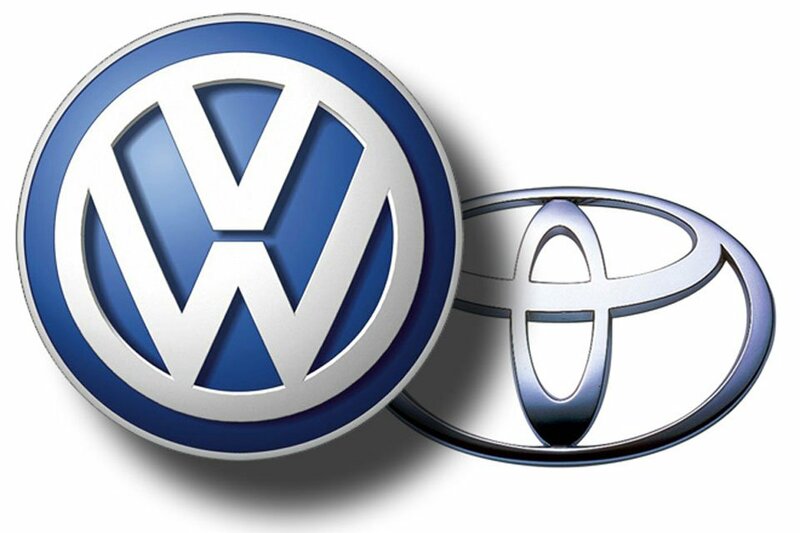 Toyota, which has lost its top-selling carmaker status to Volkswagen, sold 10.25 million cars over the year, up from 10.19 million units a year earlier. However, income from those sales was slightly down at 27.6 trillion yen. Toyota has been struggling in the US, its biggest market. Sales fell in North America as the company battled to meet demand for bigger cars such as SUV’s, which have become more affordable to drive thanks to lower petrol prices. Earlier this year Toyota said it would invest $10 billion in the US over the next five years. 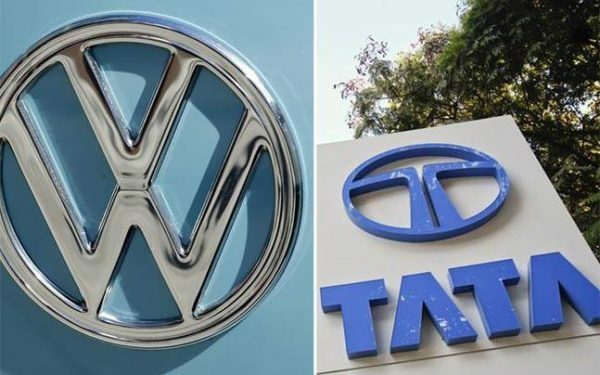 Volkswagen and Tata Motors will set up a strategic partnership to help both companies boost economy car sales in India and emerging markets. 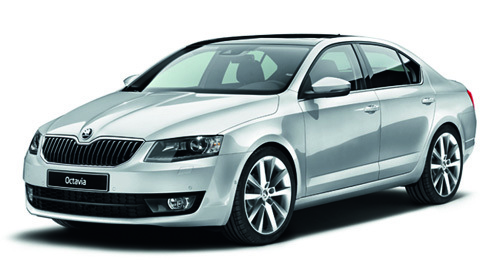 VW’s Skoda unit will lead the project to develop components and vehicles. The German automaker is looking for new markets as it recovers from its diesel emissions scandal. Tata Motors, which is India’s largest automaker and owns Jaguar Land Rover, is also hoping to claw back domestic market share. VW and Tata have signed a memorandum of understanding on a partnership they hope will potentially lead to Tata Motors launching new vehicles by 2019. Tata Motors CEO Guenter Butschek has put in place a restructuring program to help build up the company’s lost sales for passenger and commercial vehicles by improving efficiencies, cutting production delays and building economies of scale. VW is investing in self-drive vehicles and greener technology such as electric cars and would like greater familiarity with the Indian market. A previous attempt by VW to expand into emerging markets through an alliance with Suzuki Motor Corp ended in 2015, following bitter disagreements. Automakers are attempting to win a greater share of expanding emerging markets through the sale of budget cars, which in turn increase familiarity of their brand. VW is still dealing with the aftermath of the company’s emissions-cheating scandal which came to light in September 2015. It pleaded guilty to three criminal charges in the US in January 2017, and would pay fines totaling $4.3 billion to settle charges over the scandal. In November 2016, VW announced plans to cut 30,000 jobs worldwide with about 23,000 of the losses to be borne in Germany. 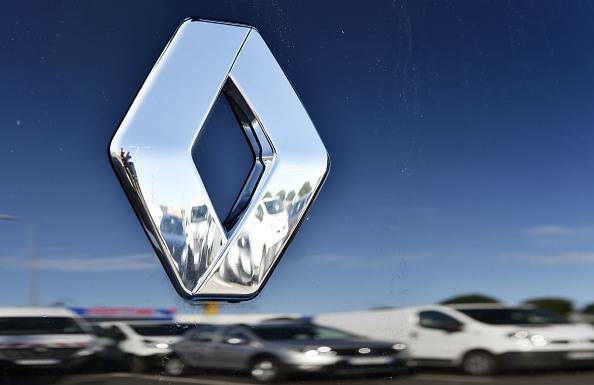 Renault has reported record annual revenues after a revamp of its range boosted sales. The French automaker’s revenues rose 13.1% to 51.2 billion euros in 2016, slightly ahead of expectations, while net income jumped by nearly 20% to 3.54 billion euros. Earlier this week, Renault said it had sold 3.2 million vehicles in 2016, a 13.4% rise on 2015, with market share rising in all regions. Renault sales have now overtaken French rival Peugeot Citroen. The company’s financial director Clotilde Delbos said 2016 had been “a very good year” for the automaker, and the company had hit all of its targets. Clotilde Delbos added that the results had been achieved despite markets such as Brazil and Russia that “count a lot for us and which were strong in the past” but were still at “lower levels than in the past”. Renault said it expected the global car market to grow by between 1.5% and 2% in 2018, with sales in Europe and France up 2%. The automaker forecasts the markets in Brazil and Russia will be “stable”, but expects 5% growth in China and the Indian market to expand by 8%. Last month, French authorities said they would investigate Renault over suspected “cheating” in diesel emissions tests. Paris prosecutors are to conduct a probe into “cheating on key parts” of vehicles and into the quality of the tests. The move comes in response to concerns raised in 2016 by the French consumer protection agency, which carried out an investigation into several carmakers in the wake of VW scandal. Many people who conduct business in cities struggle to find the right vehicle. They will want a car that looks professional and portrays the right look, but you will also want good fuel economy so that the car is affordable to run. This also enables you to zip around the city with ease. Unfortunately, city cars often do not have the best MPG despite being smaller than most automobiles. Any business person looking for a smart city car with high MPG should consider the following vehicles. This fantastic new hatchback from Mini is a superb choice for those looking for a stylish yet practical city business car. It has an impressive official figure of 80.7 MPG which makes it affordable to run and means you do not have to worry about finding a petrol station in the city often. The Sandero is known for being an extremely affordable car, which sometimes deters motorists. However, it is an impressive city car which is both great to drive and portrays the right look. It boasts real life fuel economy of 61.7 MPG, so it is both affordable to buy and to run. Although it is not the most exciting vehicle, it does have a certain charm to it and it will fulfil the needs of anyone using it for business. The Fiat Panda has a great look; it is full of character and it is terrific for town driving. Fiat is well-known for creating excellent city cars and this model is no exception as it is fun to drive and has real-life fuel economy of 61 MPG. It also features a button which lightens the steering, enabling you to easily navigate tight gaps and park with ease around the city. The Hyundai i20 has been receiving rave reviews and is a great choice for business use in the city. It is attractive, spacious, affordable to buy and cheap to run. The 1.4-litre diesel engine has a true MPG of 59.4 MPG. This all ensures that it is sophisticated, practical and enjoyable to drive in town environments. This superb all-electric car is superb for city use as it has agile handling, low running costs and it is extremely lightweight thanks to state-of-the-art construction techniques. 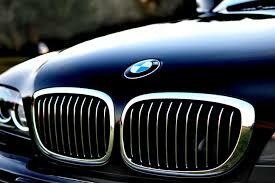 Typical of BMW, it is also very sleek and sophisticated. It offers an impressive range of around 124 miles, but you can also invest in a range extender version. This features a two-cylinder petrol engine and adds another 80 miles of range. You will struggle to find a better city car for business use than the BMW i3. Ford has announced it will start mass-production for a fully autonomous self-driving car without a steering wheel by 2021. The company’s president, Mark Fields, made the announcement at an event in Palo Alto, California. The auto maker said it would double its investment in its research center in Palo Alto, as well as making sizable investments in technology companies in the autonomy industry. Ford said the car would be in use by customers by 2021. It said this was most likely as part of an Uber-like ride-sharing service – but one that doesn’t require a human driver. The announcement, described as “transformational” by Mark Fields, signaled an era when Ford sees itself, particularly in cities, as a company that provides an ad-hoc service rather than focusing solely on selling the cars to the general public. In recent years Ford has described itself as a technology company rather than simply a car maker, and on Tuesday it genuinely started to sound like one. In partnership with Chinese firm Baidu, Ford has made a joint investment of $150 million in Velodyne – a company that works on light detection and ranging (LiDAR) technology. LiDAR is the system used for accurately detecting objects around the car. Ford was also part of an investment round that raised $6.6 million for Civil Maps – a digital mapping company – as well as money put towards neuroscience research. However, there was no mention of Google or Apple in Ford’s announcement – a suggestion it has opted to compete against the Silicon Valley giants rather than try and work with them as some had originally anticipated. Google still leads the way in self-driving technology – its cars have been out on public roads clocking up miles for several years now. It too is developing a car without a steering wheel – but regulations so far prevent that car from venturing beyond private land. Like Google, Ford said it would be focusing on “Level 4” autonomy in reference to the standards put in place by the US-based Society of Automotive Engineers (SAE). The levels represent the sophistication of self-driving technology. At Level four – “high automation” – the car is able to operate, unmonitored, in a particular use case. For Ford, the use case would be a city area. Level 5 would mean full autonomy in any driving condition. Ford said it was not interested in offering Level 2 or 3 driving. Level 2 means some level of automation that requires the driver to monitor the car at all times. Mitsubishi Motors shares have risen on media reports the auto maker will compensate customers after it admitted falsifying fuel efficiency data. 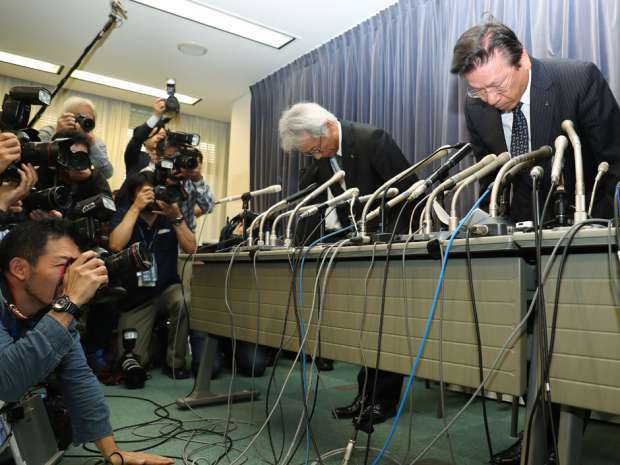 Shares in the Japanese auto maker have lost some 50% of their value since the scandal. On May 10 shares rose 1.9%. The Nikkei 225 benchmark index closed 2.2% higher at 16,565.19 points. Meanwhile, Takata shares shed 7.4% on reports of an additional seven million recalls of its faulty airbags. On May 9, Takata had also said it was expecting a loss instead of a profit for the fiscal year until March due to the soaring costs of their global airbag recall. In China, markets were reacting to fresh inflation data showing April’s price increases steady from the previous year. China’s consumer price index (CPI) was up by 2.3% on the same month the previous year. The Shanghai Composite index was flat at 2,832.59 points at the close of Tuesday’s session. Meanwhile Hong Kong’s Hang Seng closed higher by 0.4% at 20,242.68. Australia’s ASX/200 finished trading 0.4% higher at 5,342.80, despite the country’s commodity giants suffering from lower iron ore prices. Japanese automaker Mitsubishi Motors shares have fallen more than 15% after it said an unspecified number of its cars had failed fuel tests. 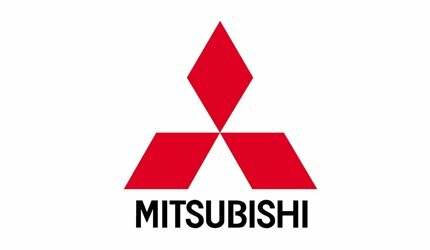 Mitsubishi will hold a news conference in Tokyo at 5pm local time about the issue. The company’s president, Tetsuro Aikawa, will attend the briefing. Mitsubishi shares closed down 131 yen at 733 yen in Tokyo – their biggest one-day fall in nearly 12 years. 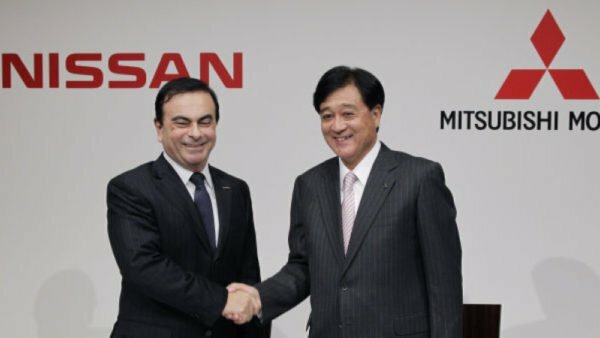 NHK said the faulty tests could affect about 600,000 Mitsubishi-produced cars, including some vehicles it makes for rival Nissan. Mitsubishi sold more than one million vehicles in 2015. “One of our models was found to have failed part of a fuel economy test,” a company spokesman said. In 2014 South Korean auto makers Hyundai and its affiliate, Kia, agreed to pay $350 million in US penalties for overstating their vehicles’ fuel economy ratings. They also resolved claims from car owners. The Mitsubishi revelation follows last year’s emissions scandal at Volkswagen in which the German automaker was found to have installed devices in some models that fooled tests. Toyota has reported a 4.7% year-on-year rise in net income for Q4 of 2015, to 627.9 billion yen ($5.37 billion), due in part to stronger sales in the US. The Japanese company, the world’s biggest automaker, also raised its North America sales forecast for the full year to March, because of the higher US demand. However, operating profit for the quarter fell by 5.3%, missing forecasts. The car industry has been hurt by a global slowdown, particularly in China. 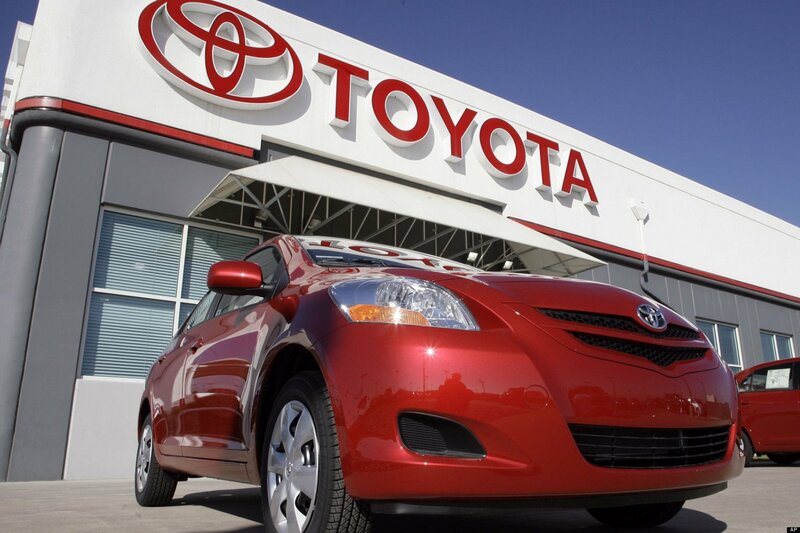 Toyota said net income for the year to March was still likely to come in at 2.27 trillion yen. “Our latest forecast remains unchanged from the previous forecast, having reflected both positive factors – such as progress in cost reduction and the weaker-than-expected yen so far,” managing officer Tetsuya Otake said. In the nine months to December, Toyota said consolidated vehicle sales came in at 6,492,784 vehicles – a decrease of 246,374 compared with the same period last a year earlier. It said sales in North America had increased by 33,032 vehicles to 2,140,655 because of strong demand from the US. In Asia, however, vehicle sales fell by 112,478 vehicles to 1,016,235 over the nine months. In the face of slowing global growth, Toyota has been trying to cut costs and improve productivity at its factories. It has also faced a string of recalls in recent months. Earlier this week, Toyota announced a recall of 320,000 trucks and SUVs over problems with airbags, saying they could inflate without a collision. In November 2015, Toyota recalled 1.6 million vehicles equipped with faulty airbags. In October 2015, Toyota recalled 6.5 million vehicles over a faulty window switch. The company has recalled about 15 million vehicles fitted with the bags since 2013. 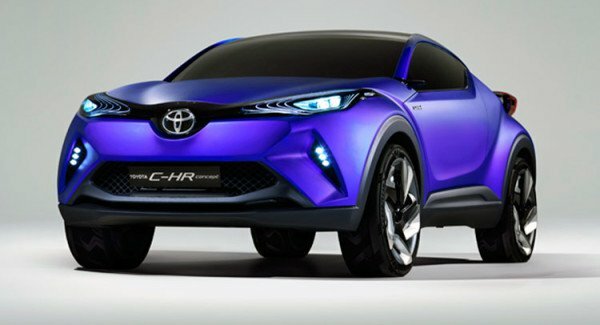 On February 5, Toyota also announced a share buyback of about 150 billion yen worth of outstanding shares. Despite the recall worries, Toyota won back the crown of the world’s largest automaker by sales in the first nine months 2015 from Germany’s Volkswagen. Ford has announced it is cutting jobs and save $200 million a year in Europe. The US car giant said it was launching a voluntary redundancy program and improving manufacturing efficiencies. 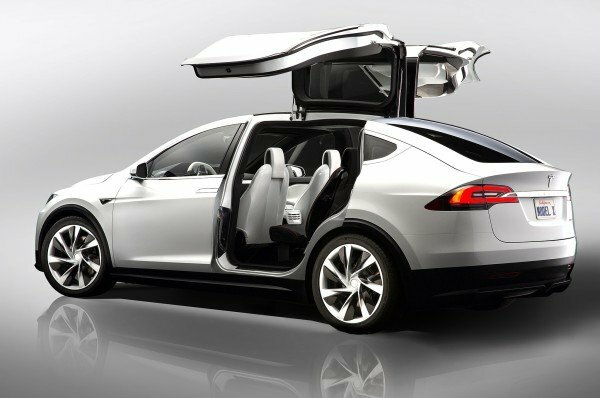 The company also said it would focus on its most profitable models, such as sports utility vehicles (SUVs). Ford Europe returned to profit for the first time in four years in 2015, as the parent group recorded record profits of $10.8 billion. 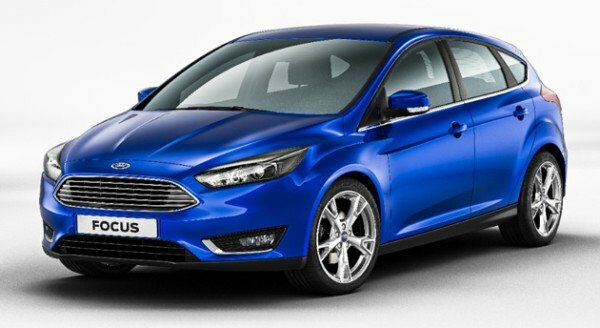 This represented a “good first step”, said Ford Europe executive vice-president Jim Farley. The jobs are likely to go at Ford’s main European centers in the UK and Germany. Ford also said it would be launching seven new or redesigned vehicles this year, including a Focus RS and new Kuga and Edge SUVs. Ford Europe has closed a number of plants as it struggles to turn around heavy losses. Last year, the company made an operating profit of $259 million in Europe, compared with a loss of $598 million in 2014. 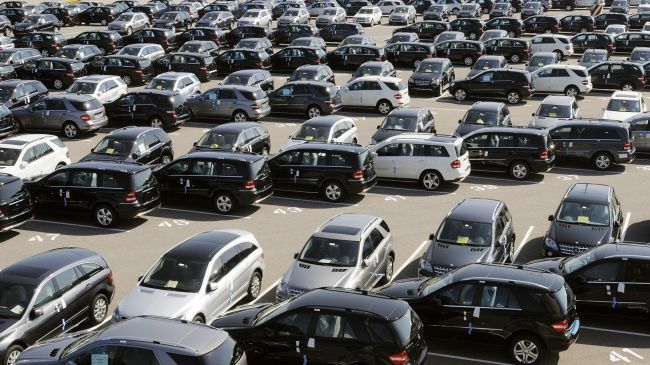 European auto sales rose 9.2% in 2015 reaching 14.2 million vehicles. However, it still remained below levels prior to the economic crisis. The 9.2% increase was driven in large part by incentive schemes, according to the Brussels-based trade body, the Association of European Carmakers. Several auto makers achieved double digit growth, including Daimler (17.7%) and Fiat-Chrysler (13.6%). Amid the emissions scandal, VW’s sales climbed only 6.2% and the group’s market share slid from 25.5% to 24.8%. The annual figures were boosted by a strong December when sales jumped 15.9% to nearly 1.16 million, marking the 28th consecutive month of growth. The figures include all EU members except Malta, and the three European Free Trade Association countries, Iceland, Norway and Switzerland. Sales grew strongly in Spain (20.9%) and Italy (15.8%) in 2015, helped by government incentive schemes to encourage buyers. Sales also rose in the other major markets of France (6.8%), the UK (6.3%) and Germany (5.6%). Car sales in the EU and the wider EFTA free trade area reached a peak of nearly 16 million in 2007. They subsequently fell to a low of just over 12.3 million in 2013 before rising again in 2014. The association said the trend in 2015 was “positive, but in absolute terms, volumes remain low”. 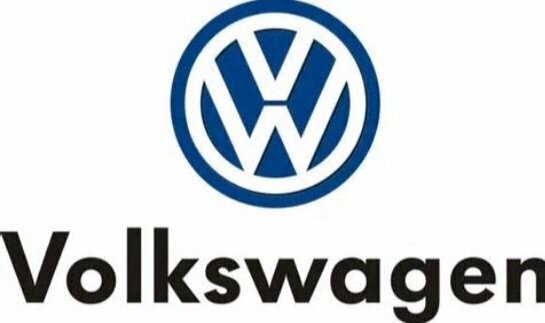 Volkswagen has been ordered by the US Environmental Protection Agency (EPA) to recall half a million cars because of a device that disguises pollution levels. The “defeat device” allows cars to pass lab testing even though they actually emit 40 times the emissions standard. The EPA has been taking a more aggressive stance on car pollution and violations of the Clean Air Act. 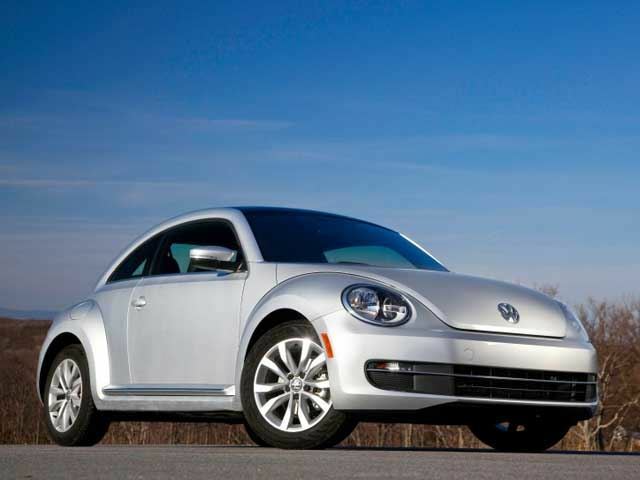 The recall could cost Volkswagen up to $18 billion. “Using a defeat device in cars to evade clean air standards is illegal and a threat to public health,” said Cynthia Giles, assistant administrator for the Office of Enforcement and Compliance Assurance. In 2014 the EPA fined Hyundai Motor and Kia Motors $300 million for misrepresenting the fuel economy in 1.2 million of their cars. That settlement is the highest to date. 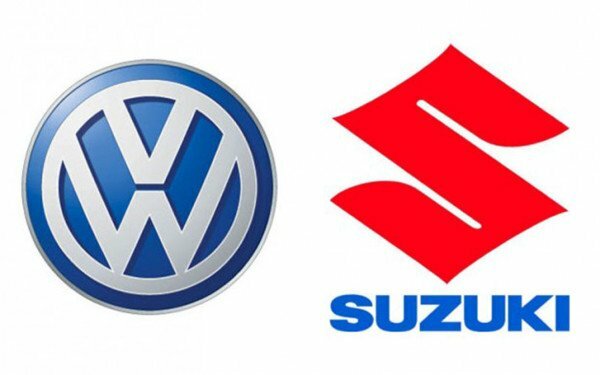 Suzuki has bought back a nearly 20% stake held by Volkswagen for 460 billion yen ($3.8 billion). The Japanese carmaker bought almost 120 million shares at 3,842.50 yen each in after-hours trading on September 17, ending a partnership between the carmakers. The deal between Suzuki and Volkswagen soured soon after it was formed in 2009. Last month, an international arbitration court ordered the German carmaker to sell its holding. 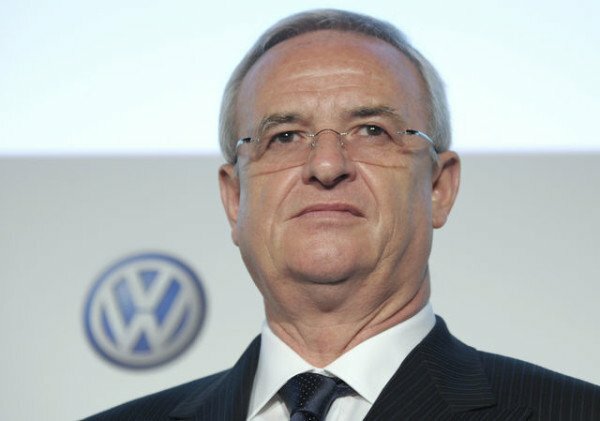 The tie up, which resulted in Volkswagen becoming Suzuki’s biggest shareholder, included co-operation on technology and expansion in emerging markets like India, where the Japanese carmaker had a leading position. However, Suzuki filed for arbitration in November 2011 after the partnership failed. The carmakers had agreed to work together on fuel-efficient cars, but Suzuki accused Volkswagen of withholding information it had promised to share. In a statement, Suzuki said that it did not see a need to change its earnings forecasts for the business year ending in March 2016 in light of the share purchase. Shares of Suzuki, Japan’s fourth largest carmaker, jumped as much as nearly 5% in Tokyo after the announcement.